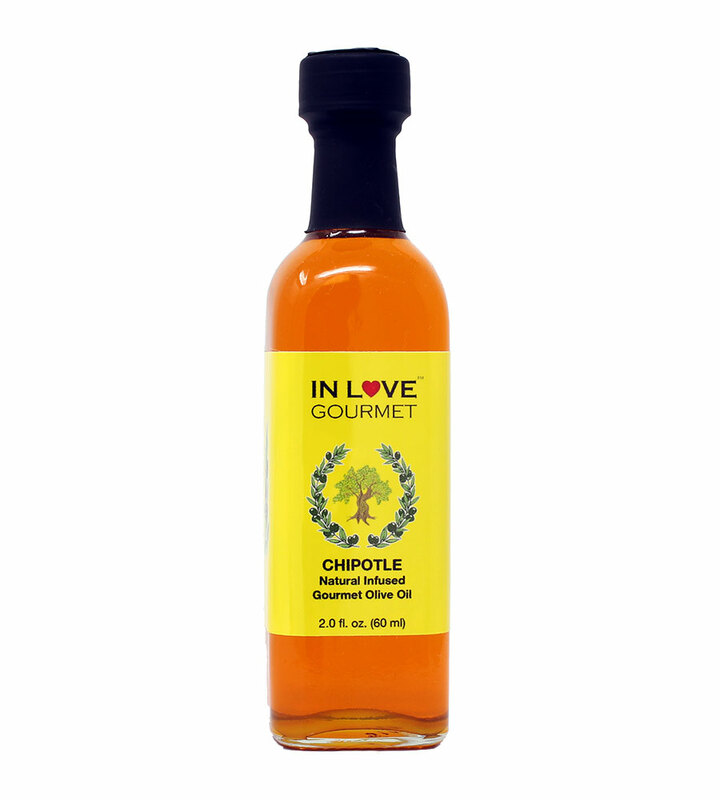 In Love Gourmet® Chipotle Natural Flavor Infused Olive Oil 60ML/2oz (Sample Size) Smokey Chipotle Pepper Flavored Pure Olive Oil This olive oil captures all the warm and smoky chili flavors of Chipotle peppers. Chipotle peppers are unique because they provide a spicy complexity to dishes without being overwhelmingly hot. Ingredients: Extra Virgin Olive Oil, Natural Chipotle Flavor (Organic Sunflower Oil, Chipotle Taste/Aroma) Known Allergens: none. Use as a base for rubs while smoking meats (instead of mustard). 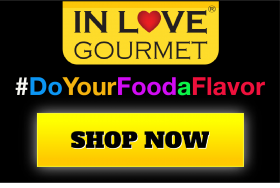 Adds a spicy complexity to dishes without being overwhelmingly hot. Great as a meat marinade.